I am also the author of 4 books, available on Amazon, and at many major outlets. 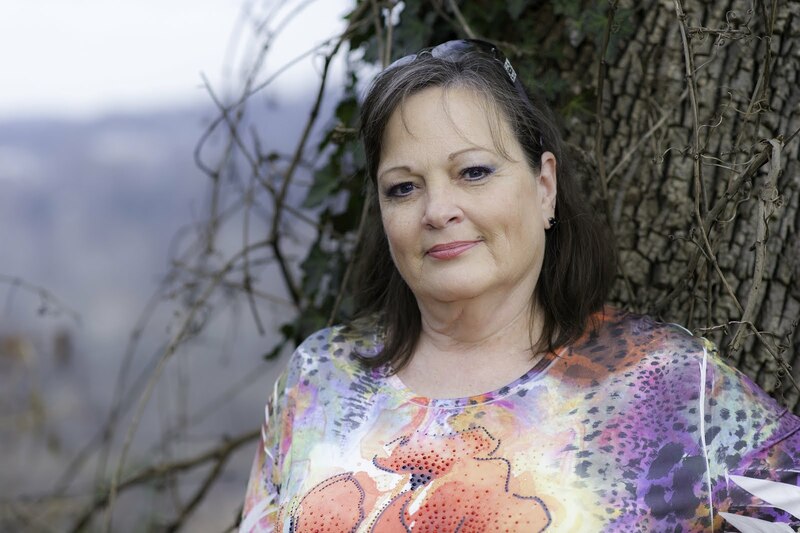 I have been contributing writer for Combat Handgun Magazine and Women and Guns Magazine. I was an instructor for many years, currently on hiatus. Thank you for following along with me as this journey continues. Thoughts, comments and insights for women who shoot and the men who love us! Science tells us that a diamond is a crystal structure formed through exposure to great heat and pressure. Many of you know, I just completed the Defense Firearms Coach Certification training. It was developed by the same company who brings us Combat Focus Shooting. Innovative Defensive Solutions, LLC hosted two instructors to come to our area to present the training. The class finished Sunday, late afternoon with a written exam. It is now Tuesday and I’m beginning to gain some perspective. This was the most difficult course I’ve ever taken, and it was designed that way. The pressure was intense. One of my fellow students described it as “Drinking from the Fire Hose”. I went in to Day 1 thinking, despite the warnings, how bad can it be? Granted, and I’m not making excuses, I was not 100% on my game. I am still getting over a sinus infection, hobbling on a broken toe, was tired from scrambling to get final edits on my book back to the publisher…generally my stress level, on a 1 - 10 scale was about 8. By the end of the day, I had redefined my scale. I left Day 1 feeling demoralized, like an idiot, and thinking I really don’t want to do this. There are almost no handouts, you need to take notes almost at the rate of speech, some of the information was known but presented in a different way and some was completely new. Then, you would have a few minutes to prepare and have to stand and present a small section back to the class and instructors. To throw in a curve, you might be asked to present something you hadn’t prepared. I tend to like my presentations to be thoughtful, polished, clean…I do not like to grab and go…winging it was NEVER an option. I went home seriously wondering if I should return the next day or quit and forfeit the money. I did the homework that night and reviewed for day 2 since I was still waffling. Day 2, the alarm went off and I dragged my sleepy self out of bed, still not sure if I would actually walk out the door or crawl back in to bed. I went to class. Pride won out, I did not want to give up in front of my peers. Day 2 was better, although still tough. I felt a little less like an idiot when I delivered a teach back that was acceptable, but I was still very stressed by the methodology. It helped to see some of my peers, who I consider very intelligent, stumble, too. I felt less alone. There was also a sense of mutual support forming, we were in this together, and we were going to pull each other through. Day 3…the range. Outdoors, 20 some degrees, snow on the ground…my skills completely fell apart. I had errors I’ve never experienced before (and will be practicing intently very soon). I seemed to have trouble understanding simple instructions, which frustrated me immensely. I would be told to do something, I would have to look at the person providing the instruction while they restated it a couple times, no comprehension. Finally it would be said in a different way and I got it and was able to do it. That was humbling, but also valuable as it reminded me what it feels like for one of my students to give me a blank look and me to try to find new words to explain it. The range portion was over and we all left to regroup at a restaurant for a late lunch, final teach backs and written exam. Driving there, I had a mini-melt down. But, I was pretty much back together by the time I got to the restaurant. We ate, we taught, we got our exams…36 questions, not multiple choice or T/F, but write out the answer, and we had to get 90%. Not a lot of room for error there. I finished the test, started going back over it and stopped myself. I’ve learned through the years, I tend to change right answers to wrong when I do that. We did our debrief and wished our instructors safe travels back to Ohio. I learned more than I thought possible in 3 short days, or long days, depending on your perspective. I haven’t gone back and sorted out my notes yet, but I will in a few days, I’m still decompressing. I like to think my words are not influenced by the end result, passing or failing, and I really believe that. We didn’t know when we left what our status was. By Monday evening, I was fairly confident I would need to re-do something in order to pass, but I had already formed most of the opinions above. Then I got the email telling me I passed. I was not as relieved as I would have thought, by that point I had begun to realize I had learned an amazing amount of information. I was miserable while I was doing it, but I had survived, no one was injured, I was less cocky and much more appreciative of my peers who were incredibly supportive. I’m still a little embarrassed by my melt down, but that is on me. As we heard many times we needed to own our mistakes and fix them. Part of that is admitting it here. I started out with a reference to the creation of a diamond. I made it through the pressure and heat, and truly believe I’m a better instructor than I was last Thursday. I’m certainly more humble. I still have a few rough edges, but am maybe a little shinier than I was last week. I’m not sure I ever want to repeat an experience like that, but…it was valuable and I’m grateful to have had the opportunity. Amazing how perspective shifts once the pressure is off and you can look back. The information that follows was provided by a knowledgeable source, however, this should not be taken as legal advice or cited as such. It is however, excellent information and good advice. The outcome can vary state to state. From a civil, not criminal monetary fine, a summary citation for disorderly conduct to a third degree felony. In several states, concealed weapon with a permit in a restricted area without intent is not a felony but only a second degree misdemeanor. The TSA has no arrest authority, but when they call the local police the locals will only call in the FBI if there is an indication fo a federal crime, otherwise local laws apply. In some states, where you are allowed to carry and have a permit, the individual has been told to take it back to their car. but usually there is an arrest even if the law enforcement officer has substantial evidence that the individual had no knowledge that the firearm was in the carry-on luggage But even with the arrest, that individual is normally innocent of criminal charges if he or she did not "KNOW" that the firearm was in the luggage. If you're in New York, though, you're likely to see jail time. All misdemeanor or felony offenses in such scenarios have a knowledge or "mens rea" element that requires the prosecutor for the State to prove that you knew that you were in actual or constructive possession of the weapon. In many of these cases, the person immediately explains to the TSA official or airport security that he or she did not know the weapon was in the carry-on luggage. The Transportation Security Administration (TSA) has also started issuing notices of violation and civil penalty assessment orders in such cases. Because the regulations are civil and not criminal in nature, no knowledge requirement generally exists as an element of the violation. The TSA provides that not all alleged violations result in a civil penalty assessment order. Instead, some violations will trigger only a "warning notice" or "letter of correction" or "no action." In many cases, the first correspondence from the TSA is Notice of Violation that advises the individual that the TSA proposes assessing a civil penalty in an amount which does not exceed $10,000.00 for a violation of the Transportation Security Regulations (hereinafter "TSR"). If the TSA is unable to resolve the Notice of Violation by reaching an agreement with the individual who allegedly violated the regulations then the TSA will propose a civil penalty amount after reviewing all of the relevant facts and evidence contained in the investigative file. For cases involving bringing a gun through the security screening area, the regulation violation is 49 C.F.R. Section 1540.111(a) of the TSR which provides that an individual may not have a weapon, explosive or incendiary on or about the individual's person or accessible property when performance has begun of the inspection of the individual's person or accessible property before entering a sterile area, or before boarding an aircraft. Click here to read the Transportation Security Regulations and select Title 49, Section 1503. After the individual receives the Final Notice of Violation and Civil Penalty Assessment Order for a TSR violation such as 49 C.F.R. Section 1540.111(a) for bringing a gun, firearm or other weapon to the airport, the individual must take action within 15 calendar days of the date of that order. Request, in writing, a Formal Hearing to seek review of the basis for, or amount of the civil penalty. The individual must also main a copy of the "Request for Hearing" to the United States Department of Homeland Security, Transportation Security Administration (TSA), NOV Program Office (TSA-801), 601 S. 12th Street, Arlington, VA 20598-6801. For many individuals, the proposed penalty is excessive given their economic circumstances. Negotiating with the NOV Program Office may result in a substantially lower penalty. Other direct and indirect consequences attach, including enhanced penalties for a subsequent violation. Other penalties assessed by federal, state, or local law enforcement. We all Make Mistakes...Don't let this Happen to You! The following is a true story, but identifying information is disguised to protect the remaining dignity of the individual. That sinking feeling was confirmed with the words, “Sir, you are under arrest” and the feel of the handcuffs cold against his wrists. He had left a gun in a pocket of his backpack, completely forgotten it was there. (It had been placed there earlier in the week during a visit to family members with small children in an area where he wasn’t comfortable securing in the car or carrying on body. While I do not advocate off body carry, especially around children, he believed this to be the safest option at the time.) In his effort to ensure the security of his traveling companion, he had forgotten to take his own advice and triple check all of his bags. Somehow, the officer’s statement “This happens all the time”, provided little comfort through the long, cold night in jail while waiting for Monday morning to reach his attorney and make progress on bail. This is an intelligent, educated professional, who is, this incident excepted, law-abiding. He is a volunteer rescue worker in his home community and is active is various other community and state support activities. As of this writing, he has yet to draw an easy breath waiting on the outcome of this lapse. What will be the final cost of one forgetful moment? We don’t know. At the very least, there will be the legal bills. The other end of the spectrum could have life altering repercussions, loss of carry permit, possible jail time, loss of ability to continue some of the work he does due to a felony conviction. My heart goes out to him, he is an excellent example of a contributing citizen…who made a fateful mistake. He knew the law and wasn’t attempting to get by with something, he truly was unaware that the gun was there. What is the lesson? ALWAYS double check your bags before going to the airport to remove anything that could possibly create an issue. Additionally, ALWAYS be aware of the location of your firearms. Many of us become so accustomed to carrying our concealed firearm that we almost forget they are there. Remember this gentleman and check yourself…before the airport, the post office, the courthouse, a government building…anywhere that it is unlawful to carry your gun. For now, I sincerely wish him the best of luck and hope that the judge will take his history and record of service to the community into account in adjudicating this matter. Shot Show 2013 - I'm back! Have you ever been to Shot Show? It is an industry convention held annually. This year reported more than 62,000 attendees! Imagine getting a cab at the end of the day there! Shot Show is not open to the public, you must prove you are “in the industry” as an instructor, retailer, manufacturer, media, etc. How can I describe Shot Show? If you have never been it is hard to imagine, 2 plus floors of exhibitors with everything from outdoor hunting equipment to the latest technology in laser sighted rifles (which was really cool if you have about $22,000 laying around). Shot Show was held in Las Vegas, at the Sands Expo. Where else will you find Guns, Knives and Elvises (yes, more than one Elvis) all in one place? The Sands Expo is attached to the incredible Venetian and Palazzo hotels. There was one hallway with an arched ceiling covered in renaissance murals and an inlaid marble floor that looked an Escher cubes. It was a week of firsts for me; meeting my first Olympian, Michael Theimer, Youth Programs and Athlete Development Manager, USA Shooting. Met my first Reality TV Star, long time internet friend and winner of the first season of Ammo and Attitude, Becky Lou Lacock. My first pro-shooter and inspiration for National Take Your Daughter to the Range Day, Julie Golob, my first Medal of Honor recipient, Sergeant Major Jon R Cavaiani, USA Retired, a very humble hero, and many more. I met many friends, old – new – and in between. The Gun Diva crew were so nice! Janette, who had done an amazing job with her NTYDTTRD event; Rob Pincus, who developed Combat FocusShooting and whose work I respect greatly; Athena of Gun Goddess; who is even lovelier than her name implies! I even got to see an acquaintance whom I respect, admire and really like, Kathy Jackson of TheCornered Cat. I met Lisa of Flashbang Fame, check out the new Ava holster in the pinup line, it was so sumptuous, I’ve already ordered one! There were rifles, shotguns, knives, bows, pistols, gear of all types, books, optics, celebrities…WOW! And, a LOT of security. Not being open to the public helped, I did hear rumblings about protests outside, but didn’t actually see anyone. The Presidential address was broadcast into the main hall on JumboTrons, and you could have heard a gnat sneeze. Obviously, a hot topic at the show. I got to test fire a simulator version of a new rifle that retails for about $22,000, yep, same one mentioned in the second paragraph. It is on my lottery list. There were tricked out cars, trucks, ATVs, a 60s era mini-bus and even a bicycle with mounts for rifles on the handlebars! I had an opportunity to participate in a Focus Group put on be the event company that organizes the show and sponsored by NSSF, to provide feedback on what they did well, what could be improved. In my group, all first timers, we wanted better maps and maybe GPS to help us find our way around! I was actually thrilled to be asked and offer my opinions, and I got lunch! Overall, this was one of the most amazing weeks I’ve ever had. It was bad timing, breaking my toe less than two weeks before the show, but…I hobbled around and made it through. Now, I can’t wait until Next Year! Check out some of my Favorite Photos in the Shot Show album on Facebook , I couldn't get them to upload here! Shot Show is Next Week! I’m getting ready to pack up and head to Las Vegas for Shot Show. This is my first year and I’m so excited. I kind of wish I wasn’t doing it on a broken toe, but…I’m just going to have to walk slower. If you will be there, let me know, I would love to meet! If you would like more information about National Take Your Daughter to the Range Day, I will have lots of materials with me. I will also have flyers about my book, Taking Your First Shot, which is due out in April. I’m very excited, and grateful to SkyHorse Publishing for taking a chance. 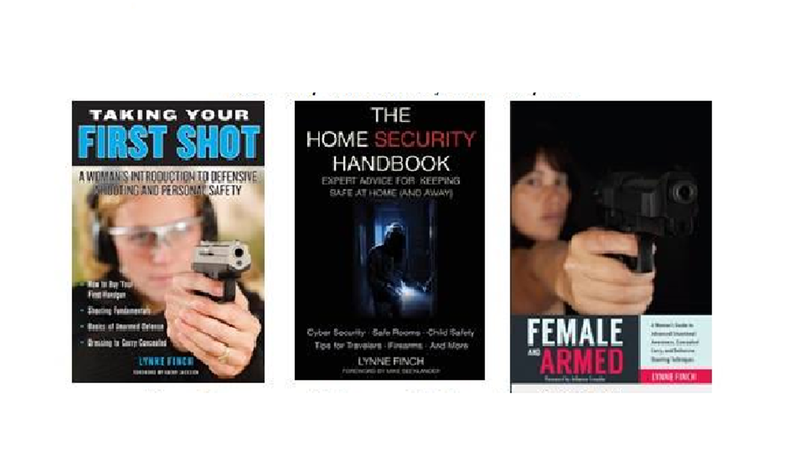 It is an introduction to pistols, armed and unarmed personal defense and concealed carry, primarily for women. Stay Safe! Watch this space for news and pictures from Shot Show, as well as FaceBook at Women Firearms Instructors. Shot Show! And this is my first year going, I'm so excitied I can barely contain myself. It will be a little tough, all the walking on a broken toe, but...I'll take a big bottle of Aleve with me. If you won't be there check back here for lots of pictures and stories. This will be a great time and I hope to meet some of you there! Gun safety is crucial. You always want to know your target and what is beyond it, triple check to be sure they are unloaded before you clean them, keep you finger off the trigger until ready to shoot...you know the basics. Now, I have one more to add. When you are taking a cleared and safe rifle out of it's case and moving it to the security cabinet...wear shoes. Yep, I dropped a Henry .22 lever action on my foot. I broke the second toe in 2 places, left a nice big gash at the base of the toe...and now, I will be in a surgical shoe for at least the next few weeks. If you are going to Shot Show you will get to see me hobbling around in a sneaker and a surgical shoe. And no, there was no alcohol involved. I hope you all had a safe NYE, and wish you all a wonderful 2013! The views expressed in this blog are the sole property of F&A llc. . Watermark theme. Powered by Blogger.